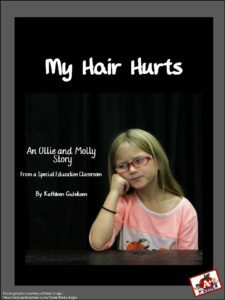 My new series of stories, “Ollie and Molly Stories” about past Special Education students and their parents are true-to-life stories about my experiences working as Special Education teacher. Rather than make up different fictitious names for the kids in each story, I am using the name Ollie to depict every boy and the name Mollie for every girl in my stories. Each Ollie and Molly story tells about different students. I have never had a student named Ollie or Molly. Like most teachers, especially Special Education teachers, I'm a pack rat. 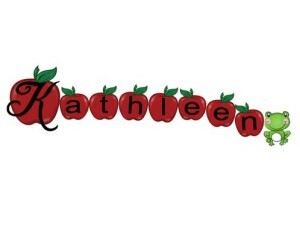 The fact that I am a retired Special Education teacher doesn't seem to matter. I brought home some of my favorite things telling myself that I could use them to demonstrate strategies for my graduate students pursuing a literacy degree. And that's true. I have used them and the college students appreciate the visuals. Recently I decided I needed to clean out a bit and make some room in my home office closet. I found a long-forgotten rolled up, tattered piece of chart paper with a list I had made with two of my 2nd grade (boys) resource students. Trying to promote interest and enthusiasm for reading we were discussing what makes a book interesting and what we had learned about books we like. They generated ideas expressing the awareness they had about books and I was the scribe. Reading the list today I can still remember how these two struggling readers were excited about sharing what they knew about books and how much they were enjoying what they had learned. I took that worn old chart and made the graphic above duplicating exactly what the kids said. I think they were off to a pretty good start. What do you think? 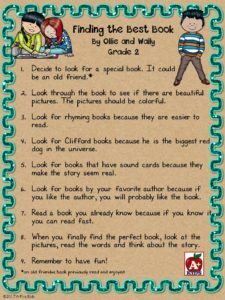 How do your kids identify good books? 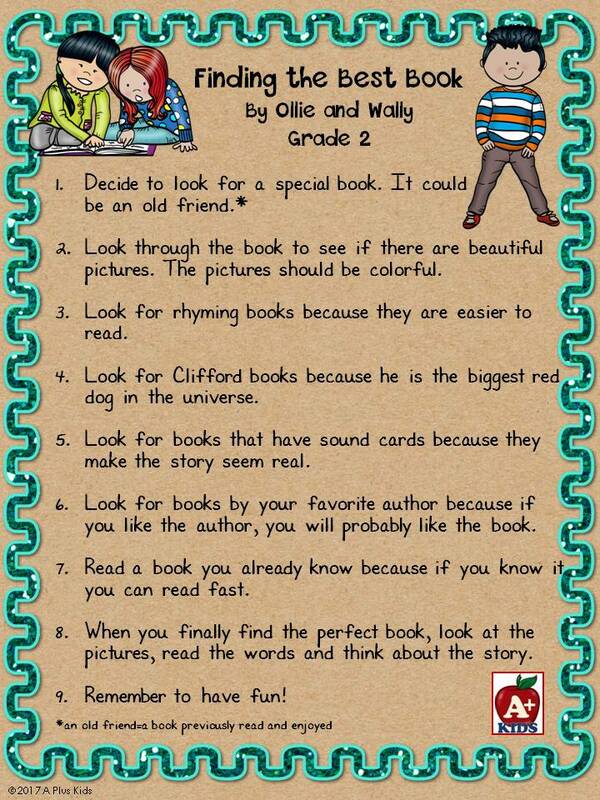 Are your kids aware of what they like to read? Favorite authors? Subject matter? Older kid need to identify what they like as well. Posted in Ollie and Molly Stories on January 26, 2017 by Kathleen. I was teaching a self-contained Special Education third and fourth grade class, (grouped according to the students’ chronological ages, not academic functioning levels), when Mrs. General Ed, a third grade teacher from down the hall knocked on my door. She had just returned from a CSE and recommended that a boy in her class be placed in a self-contained setting. It was determined that he be placed in my class. Mrs. General Ed warned me that Ollie did very little work and used avoidance behaviors to get through the day. When he was supposed to be at his desk working or when the teacher was talking, Ollie would be up and moving about the classroom. Another bathroom break, another pencil to sharpen, another drink, Ollie was very busy with everything but work. On the positive side, Ollie was not a behavior problem. He was a shy, quiet boy. “Good luck,” was what Mrs. General Ed told me. I reserved any decisions. The next Monday morning Ollie was a new student in my class. He was very quiet and appeared to be very sweet. A quick diagnostic assessment revealed that Ollie was able to identify all of his letters and their corresponding sounds. He could read a few simple words. His math skills were slightly better with a second half of first grade functioning level. No wonder Ollie used avoidance behaviors in a third grade classroom. He couldn’t possibly participate on a third grade level. He wanted to be able to read like his peers. I assured him that if he worked hard he would begin to read. Ollie needed to fit into the class reading program. 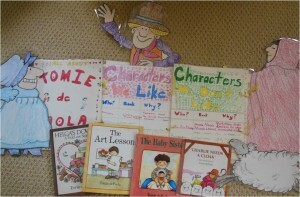 In this class the children were reading on first, second and third grade levels. Now there was Ollie on the primer level. 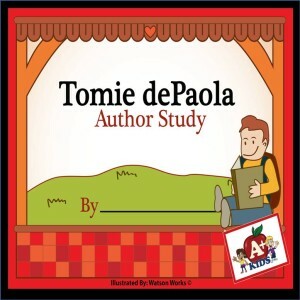 We were just beginning a whole-class Tomie de Paola author study. As I read stories aloud to the class, I learned that Ollie’s listening comprehension skills were good. He liked listening to de Paola’s stories and made interesting contributions to class discussions. Ollie was becoming more comfortable. 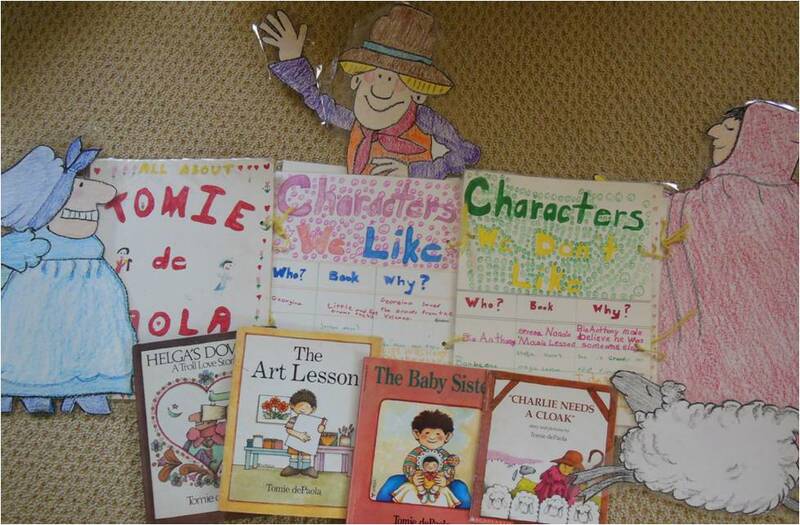 After reading a number of de Paola’s books, the kids began using them to gather information (do research) they thought would fit into the categories listed in the author study. Together we found a special job for Ollie. He was a pretty good artist and was eager to participate. Tomie de Paola’s books have lots of beautiful borders so Ollie began to draw and color borders on the 11 x14 poster board pages of the author study. He was also responsible for completing the page about de Paola’s wordless picture book. Sitting in a cooperative group of four students, Ollie was engaged, working, and very happy. No more avoidance behaviors for him! This was the beginning of Ollie’s success story. Instead of being on the outside of classroom lessons, Ollie was now an active participant. The other children liked his art work and treated him with respect. They all knew the BIG rule in our class. Everyone is good at something. We are all trying to learn the things we do not know. The only work you are trying to do better than is your own work from yesterday. Was he working on grade level at the end of the year? No, certainly not, but he had found a niche in this class, made valuable contributions and felt good about himself and his progress. Compared to his poor academic performance before he joined our class, Ollie was now a can-do kid, earning the title of being an “A+ Kid.” Ollie’s mom was thrilled with the change in her son. Note: The handwritten de Paola author study, originally designed for Ollie’s class, was just converted to digital format. My friend, Ashley Watson, made the author study come to life by creating the graphics for me. Thank you, Ashley for a wonderful job! You can see more of Ashley’s work at Watson Works where she and her sister, Heather, create wonderful resources here. See the preview for the author study. Tell me what you think about kids like Ollie. How many Ollies have been in your class? 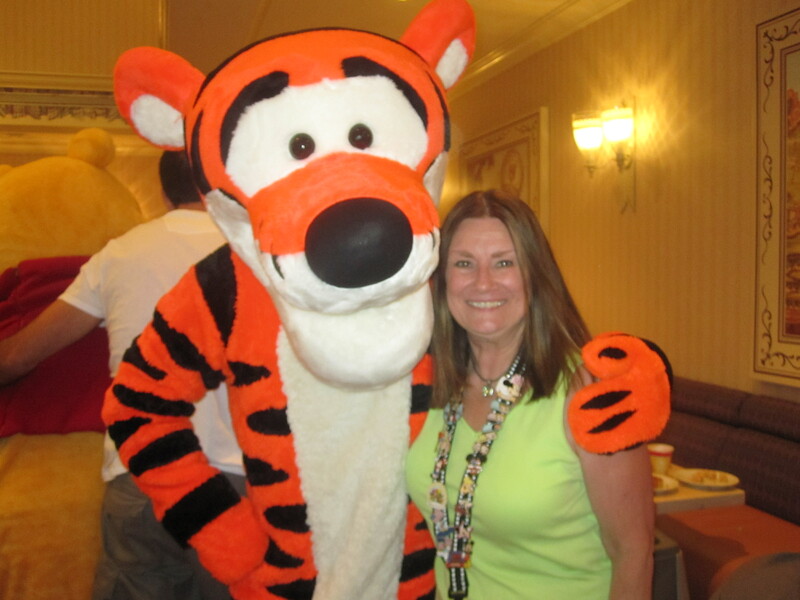 Posted in Ollie and Molly Stories on February 6, 2015 by Kathleen.